After touring Jerusalem on the final day of our Holy Land tour, we returned to the Olive Tree Hotel. The group enjoyed a buffet supper before the bus ride to the airport. We arrived at the Ben Gurion Airport in Tel Aviv about 7:30 p.m. local time. The Israelis take security seriously. As the Bus Captain, I represented the forty-plus people on our vehicle. The Head of Security asked me a series of questions about the individual members. By the end of the intense interrogation, I felt mildly guilty about some unknown offense. After the prescreening interviews, we presented our credentials at passport control. Then the line led to another security checkpoint where inspectors checked suitcases and documents again. On the far side of security, duty free stores gave travelers a final chance to spend their remaining New Israeli Shekels. I bought two water bottles for the twelve hour flight. Then I discovered a final security check at the plane prohibited taking liquids onboard. I traded seats with a group member who preferred a window seat on the Boeing 777. I sat in the middle section on the starboard aisle. In a plane filled to capacity, the middle seat next to me remained unoccupied. God is good ALL the time! After reaching cruising altitude, the flight attendants served a late supper. For variety’s sake, I tried the crepe entrée. I chose . . . poorly! I spent the flight watching movies, reading books, taking catnaps, and pacing the aisles. Twelve hours later we landed at Newark Liberty International Airport for the connecting flight to Atlanta. Our church bus took us back to Lawrenceville—THANKS Jeff and Otilio! I later did the math—it took twenty-four hours to travel from the hotel in Jerusalem to my home in Grayson. I arrived midafternoon in Georgia; however, my body remained on Israeli time seven hours ahead of Eastern Daylight Savings Time. Since arriving home three months ago, people have repeatedly asked about my favorite part of the trip. How does one summarize such an amazing journey to the Holy Land in a thirty second elevator speech or a 140 character tweet? My memories include: baking in the Dead Sea sun . . . climbing the Herodium’s steep slope . . . bowing beneath the Church of Nativity’s low entrance . . . gazing over Bethlehem’s shepherds’ fields . . . boating on the Sea of Galilee . . . praying at the Mount of Beatitudes . . . walking to the high place in Dan . . . eating falafel on Mount Hermon’s slopes . . . descending into the cool grotto of Jacob’s well . . . ascending the hills into Jerusalem . . . walking the Via Dolorosa . . . praying at the Western Wall . 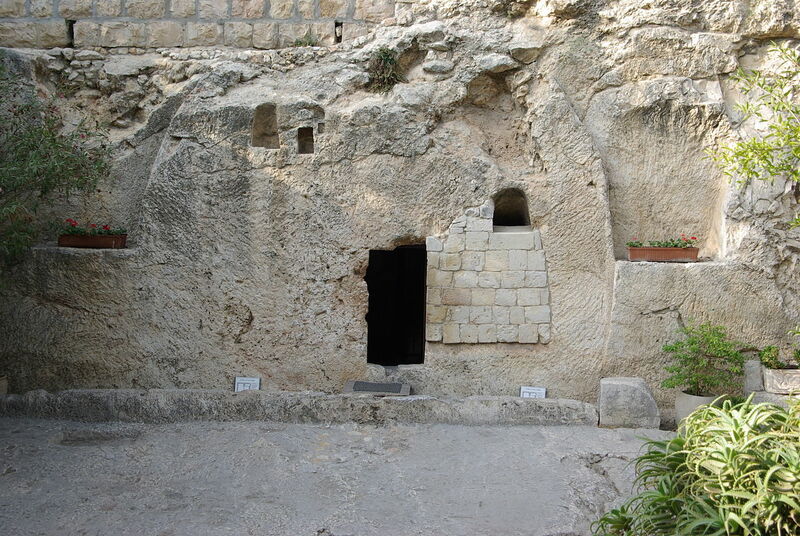 . . witnessing Christ’s empty tomb. The wise on life’s journey discover an important truth. The trip and the destination are certainly important; but it’s those you travel with who make the most difference. Long after the memories of the trip’s itinerary fade, I will still recall the brothers and sisters in Christ who blessed me with their presence. 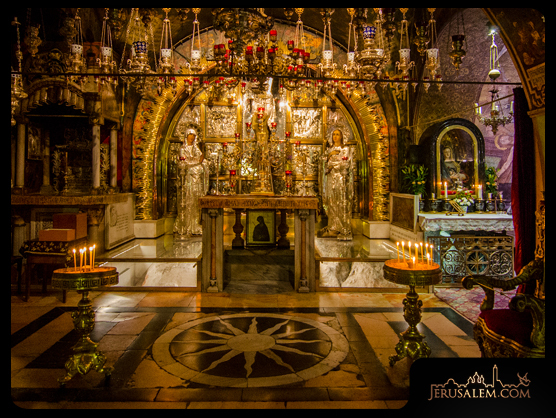 Since our return, many have expressed an interest in visiting the Holy Land. When the time is right in your life, I strongly encourage you to consider making the journey. Talk with those who have been—it’s more than a excursion or vacation. 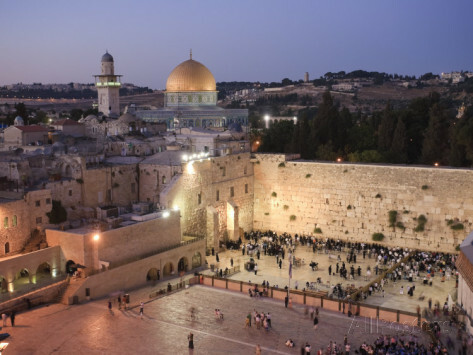 Traveling to the Holy Land is a pilgrimage that will radically transform your life and your understanding of the Bible forever. After spending the night in Tiberius, we drove north of the Galilean Sea into the Upper Jordan Valley. We stopped briefly at the Old Testament site of Hazor—a strategic, fortified city located in the southern Hula Valley. King Solomon expanded the town to protect the region. A large well descends over 130 feet to reach the water table. Unfortunately, most of us didn’t have time to make the descent . . . of course, this would have also required an ascent, so the shortage of time might be counted as blessing rather than curse. The tour continued to Dan which marked the traditional northern point of Israel. In the Old Testament, Israel’s boundaries stretched from “Dan to Beersheba.” A handful of us walked up the hillside to the “high place” which archaeologists unearthed. 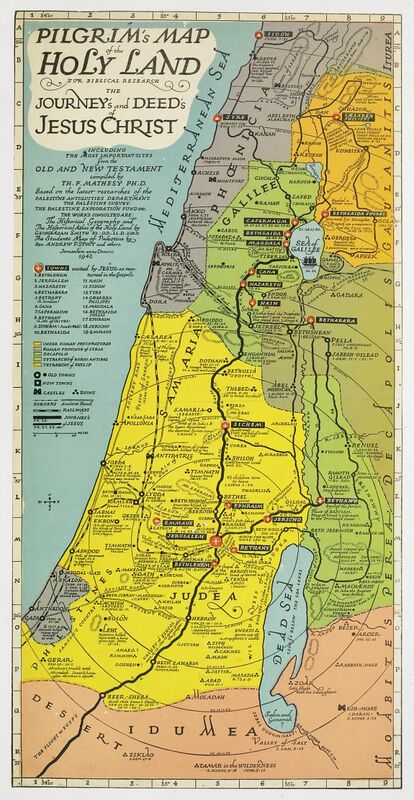 Following King Solomon’s death, Israel divided into two kingdoms. King Jeroboam feared the northern kingdom citizens would want to worship in Jerusalem, so he crafted two golden calves for the people to worship—one in Bethel and the other in Dan on the high place where we stood. Sigh—God’s people constantly struggle with the whole idol thing. In a juxtaposition of ancient and modern, military trenches and a bunker on the northern end of the site overlooked Lebanon. After returning to the bus, we discovered that two Israeli soldiers were killed nearby just the week before. 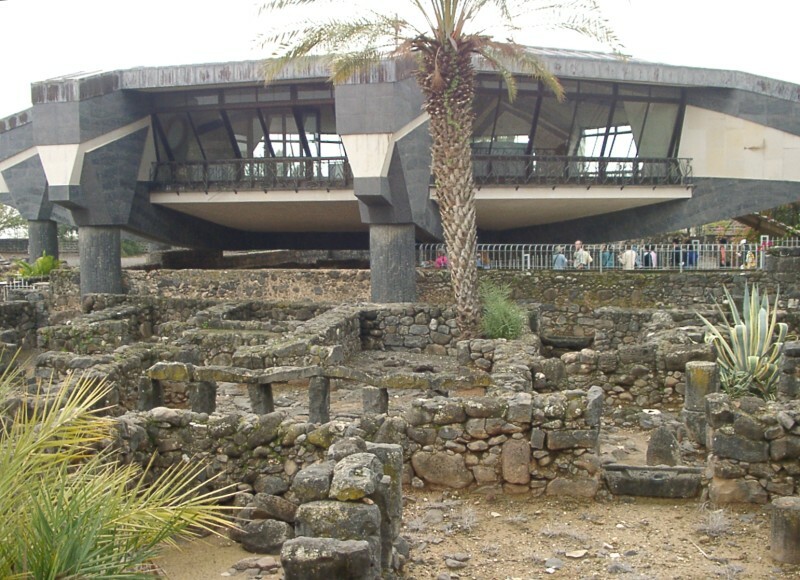 We continued north to Caesarea Philippi located at the foot of Mount Hermon. The town rested beside a headwater of the Jordan River. The founders named the town Panias after the Greek god, Pan. Pan, who inspired such words as “panic” and “pandemonium,” possessed goat legs with a human body and horned head. His temple sat in the mouth of a large cave from which the spring flowed. People claimed the deep cave served as an entrance to the underworld or Hades. Herod the Great later ruled the region during the time of Jesus’ birth, and he renamed the city Caesarea in honor of his patron, Augustus. Herod’s son, Philipp, then egotistically added the Philippi to the name. Looking at the site as someone reread the Gospel account, the familiar passage suddenly gained fresh and relevant meaning. 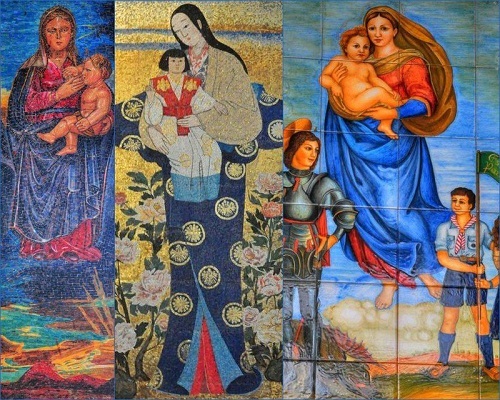 Every culture promotes gods and idols that demand worship. Against such a pantheistic setting, however, Jesus claimed the title of THE Son of God. After Caesarea Philippi, we continued northeast up the foothills of Mount Hermon. We arrived in a Druze village clinging to the hillside for a late lunch. A large Coca-Cola sign hung outside the restaurant—Walt Disney was right: it really IS a small world. Out of the limited lunch options, I tried the falafel. 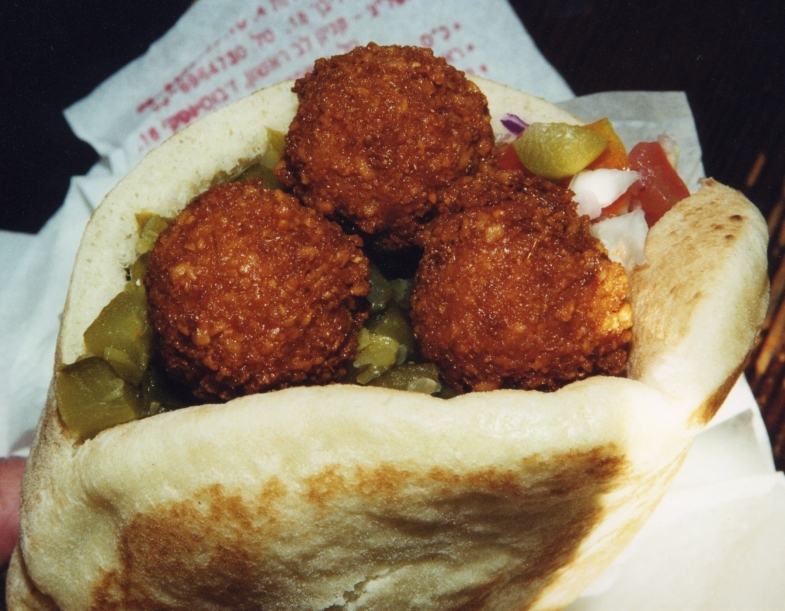 The Middle Eastern dish consists of ground chickpeas rounded into a small ball and then deep-fried. For Southerners, imagine the size and appearance of hush puppies. The woman behind the counter shoved a half-dozen of the golf-ball sized spheres into pita bread. I will confess that yours truly might not qualify as a world class gourmet. I took a big bite and chewed . . . and chewed . . . and chewed some more. I’m glad I tried falafel because this means I won’t have to eat it again in the future. Closing thought for this journal entry: Thank God for peanut butter crackers! Our tour group stayed two nights in Galilee at the Caesar Hotel in Tiberius. We arrived on Friday evening as the Jewish Sabbath began. Children ran wild through the lobby while their extended families lined up for the Sabbath meal. The hotel kept a side door propped open so that devout Jews could keep the Sabbath by avoiding work. Some members of our group accidentally discovered the “Shabbat Elevator” which stopped at every floor, eliminating the need to push buttons. 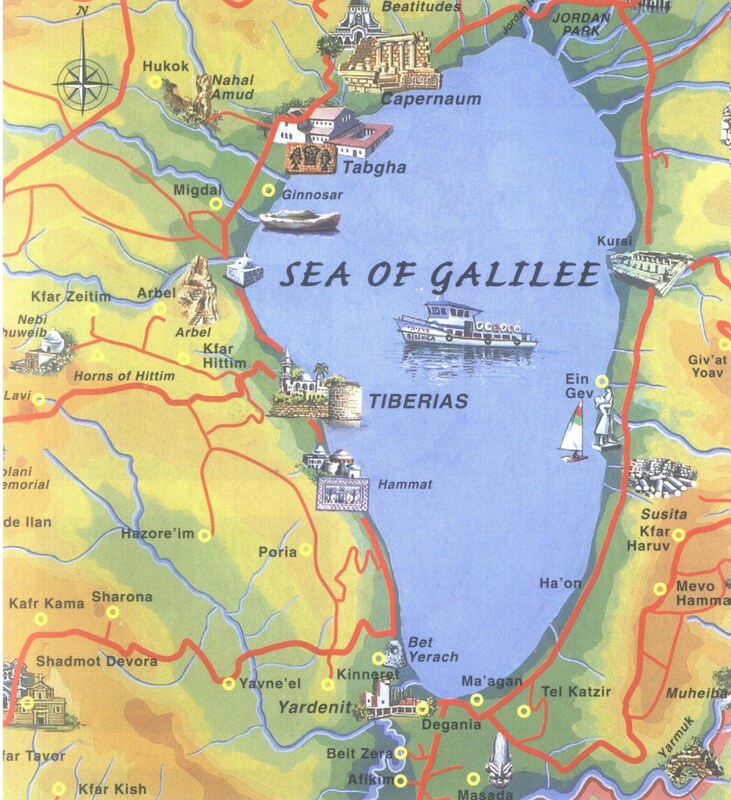 The hotel overlooked the “Sea” of Galilee which is actually a large lake fed by the Jordan River. It measures 13 miles long and a maximum of 8 miles wide. In Hebrew, the lake is called “Kinneret” which means “harp.” Most believe the name describes the shape of the lake, although the more poetic claim it reflects the melodic sound of the wind and waves. We ate lunch at Kibbutz Ein Gev on the eastern shore of the Galilean Sea. The restaurant specializes in “Saint Peter’s Fish” which is a whole tilapia served complete with head. The squeamish can order a fillet that doesn’t stare back while being consumed! After lunch, we took a boat ride on Kinneret. In the middle of the lake, the captain cut the engines, and we listened to the wind blowing off the Golan Heights. The waves gently lapped against the sides as the boat rocked like a cradle. The tranquil scene made it difficult to believe that violent storms can quickly arise on the water. Cool winds from the Mediterranean blow down the narrow passes and collide with the humid air over the lake. Bobbing on the water, I recalled a story set on the Sea of Galilee in the fourth chapter of Mark. Jesus had spent the day beside the lake, preaching and teaching. As evening fell, he told his disciples, “Let us go to the other side.” So the fishermen in the group launched a small fleet of boats. Exhausted by the day’s activities, Christ fell asleep in the back. While Jesus slept, the skies suddenly darkened as the demonic wind began to howl. When the storm struck, the high waves threatened to swamp the boats. Even the experienced fishermen onboard were terrified. Meanwhile, Jesus slept peacefully in the back, rocked by the waves like a baby in his mother’s arms. In a panic, the disciples looked for Jesus. Where was the Master at this moment of peril? If this was a modern movie, the hero would have been at the prow of the boat, leading his friends and facing the elements. Jesus awoke to the cries of his fearful friends. He rose to his feet and rubbed the sleep from his eyes. Stretching into wakefulness, he rebuked the wind like an unruly child. Then he said to the waves: “Peace! Be still!” And the winds died and the waves calmed. Sudden peace and quiet fell upon the waters. The Gospels repeatedly reveal Jesus Christ’s miraculous power. He exorcized demons and healed diseases. He cured leprosy, opened the eyes of the blind, and commanded the lame to walk. He called Lazarus from the grave. He fed the 5,000 with a few loaves and fishes. He walked on water. And the “Master of the Seas” calmed the stormy waters. Our Lord hears our pain and doubt when we cry, “Lord, don’t you care?” And there are grace-filled moments when our eyes see the glory of the Lord revealed. He raises his hand, and the winds die. He speaks, and the waves are calmed. We discover that the Lord does indeed care for us more dearly than a mother for her newborn infant and a father for his frightened toddler. Miracles occur. The storms cease. The Son of God sustains us so that we see the sun rise out of the darkness onto a bright new day. On the Sea of Galilee, the Holy Spirit graced me with a God-given moment to remember the story . . . and to believe anew. The local Board of Tourism bills Jericho as “the oldest continually occupied city in the world.” Evidence indicates people have lived in the area for 11,000 years since 9,000 B.C. By comparison, Christopher Columbus “discovered” the Americas a little over 500 years ago. Jericho also qualifies as the lowest city in the world, located in the Jordan River valley 850 feet BELOW sea level. (Jesus began “The Parable of the Good Samaritan” by describing a traveler going DOWN from Jerusalem to Jericho.) Since prehistoric times, water from numerous springs along with the proximity of the Jordan River made this a natural oasis for human habitation. It also served as a gateway into the land of Canaan. Successive civilizations in the ancient city eventually formed a “tel” or “tell.” A tel is a large, dirt mound formed by generations of human occupation. Due to favorable locations based on water and roads, societies tend to build atop previous towns. The artificial hilltops typically feature sloped sides with flattened tops. According to historians, twenty plus cultures have occupied Old Testament Jericho over the millennia. Trenches dug by archaeologists reveal the strati of previous civilizations. The cross-section looks like a geographical layer cake. Jericho figured prominently in the Old and New Testament. After crossing the Jordan River into the Promised Land, Joshua “fit the battle of Jericho” at this site. The Israelites circled the city seven days before the walls collapsed. 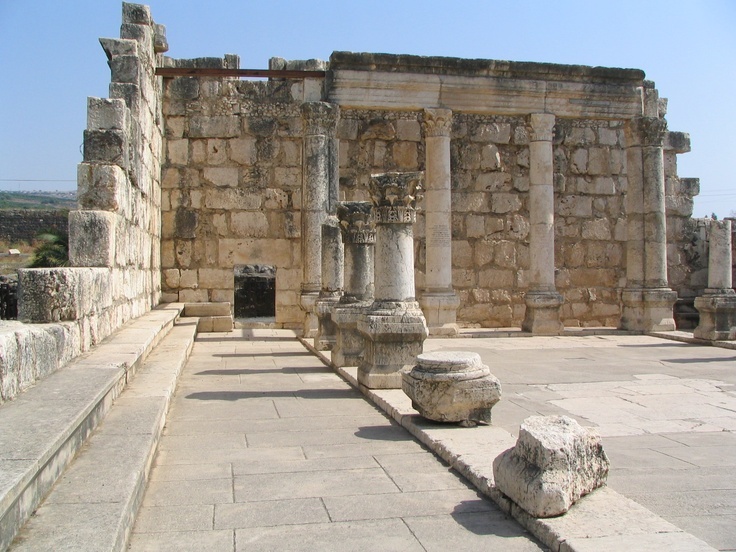 Later the prophet Elisha purified the town’s water supply with salt. The free-flowing spring still spouts water into the air at the bottom of the tel. Jesus also visited the New Testament site of Jericho which was located west of the modern city. On the outskirts of town, a blind man cried out to Jesus and regained his sight. Jesus and the disciples continued into town where the Lord encountered Zacchaeus perched in a sycamore-fig tree. Just beyond the city a north-south mountain range divides central Israel. The Mount of Temptation towers over Jericho to the northwest. In the Middle Ages, the Crusaders identified this site as the “high mountain” where Satan tempted Jesus with all the world’s kingdoms. Later the Greek Orthodox Church built a monastery there. Today cable cars go halfway up the mountain to a restaurant and shops. Tourism reigns in the Holy Land with the ability to transform any Bible story into a shopping opportunity. During lunchtime in Jericho, we visited the Temptation Tourist Center, ate at the Temptation Restaurant, and then visited the Temptation Gift Shop. Seriously, I couldn’t make this stuff up. Moral of the Story: Wherever we go, temptation always beckons because we carry ourselves with us. After lunch, our bus driver and guide took us to a nearby plaza where a camel lounged in the shade. For $5 a person, the owner offered us the opportunity to ride the camel around the parking lot and pose for a photo op. 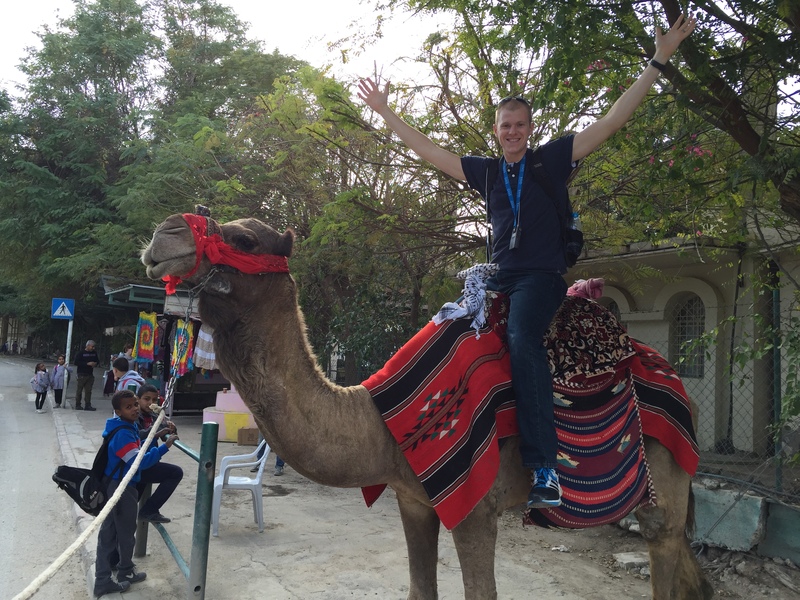 I rode a camel thirty-five years ago, and I never forgot the odiferous experience. I learned early in life that some things just don’t have to be done twice! Camels enjoy a well-earned reputation as ornery, cantankerous creatures. They spit, hiss, and bite—and that’s just on the front end! However, plenty of volunteers climbed on the ungulate and took it for a spin. That’s FUNNY, I don’t care who you are!